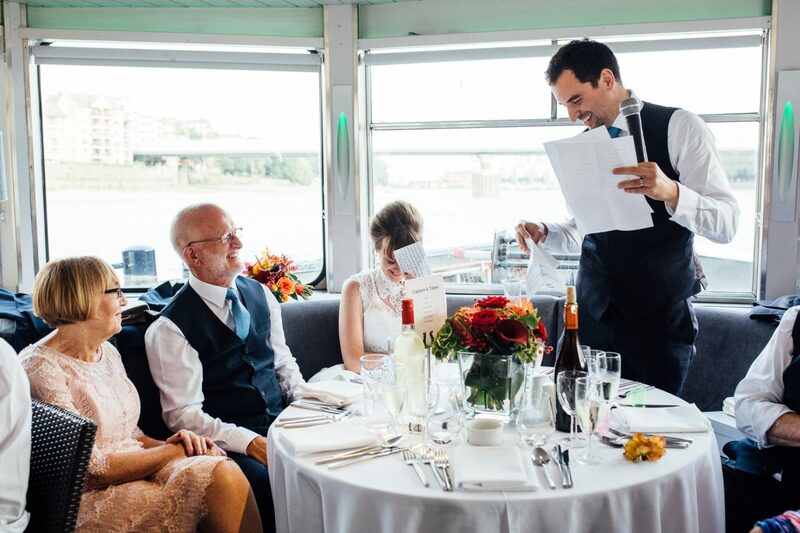 If you’re looking for something a bit different for your wedding day, then a wedding boat on the river Thames will surely do the trick! The perfect venue for couples looking for something unique for their wedding day, and definitely something to surprise your wedding day guests with. 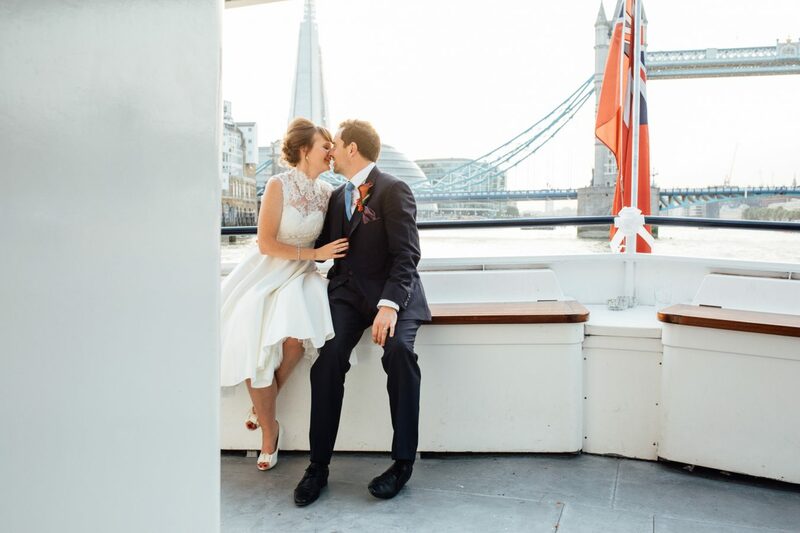 And with the backdrop of the ever-changing London scenery as we sail along the Thames, I know you’ll want a photographer who can capture all of those moments as quickly as they can as we glide along the river, passing iconic buildings and landmarks in one of the busiest cities in the world. 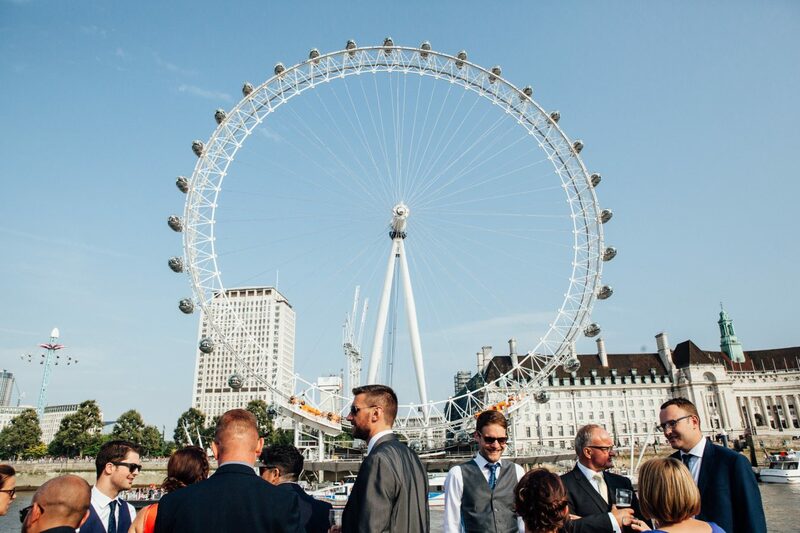 With a venue as unique and as a London Boat wedding, you’ll want an experienced photographer who knows how to make the best use of the area that you have on board, as well as knowing when all of the best landmarks are coming up. 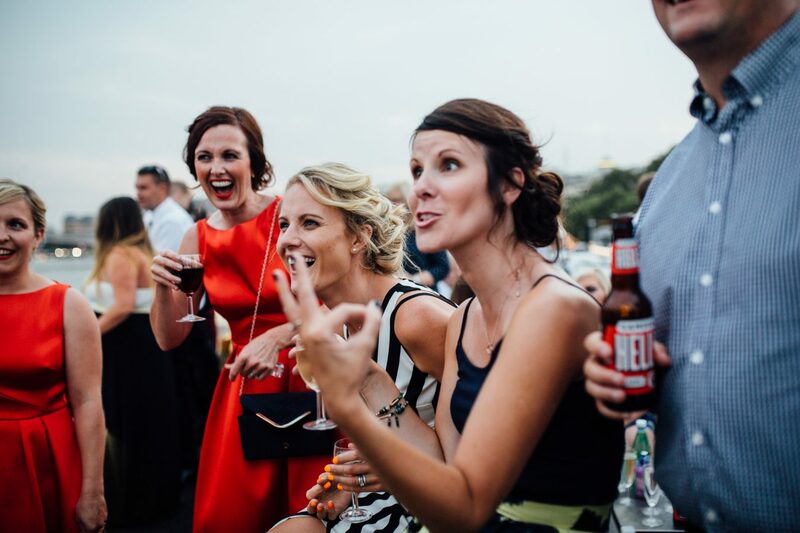 When it comes to your wedding photography, I know you’ll want someone who will photograph all the big and little moments in a non-intrusive and documentary style throughout the day. 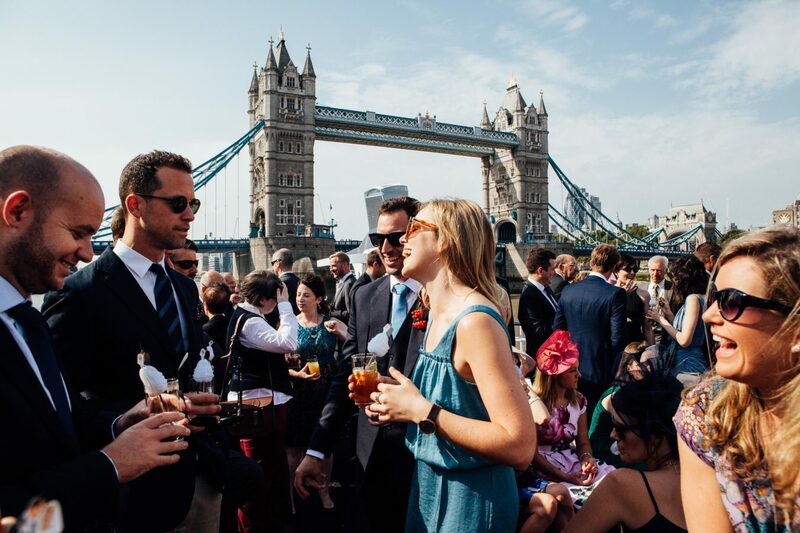 Together at your London Boat wedding, we’ll capture your day; relaxed and natural. 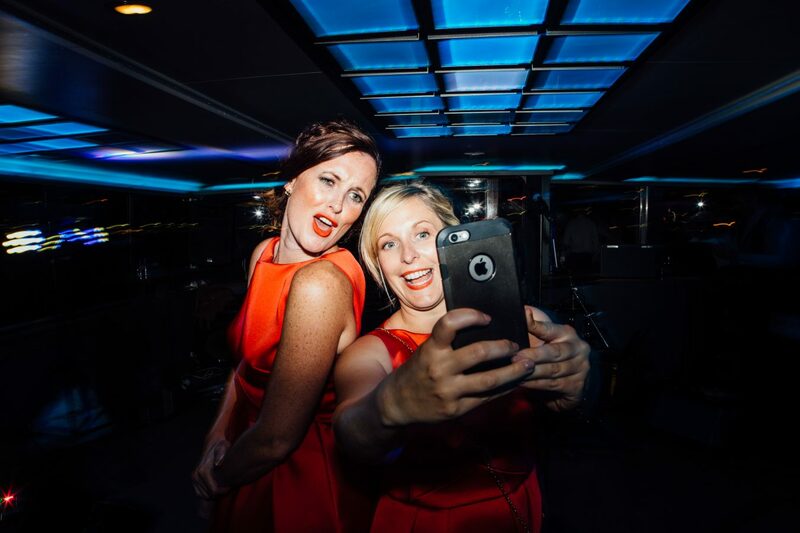 Whether you have a large ceremony on board or elsewhere with all of your family and friends, or an intimate ceremony with your nearest and dearest, you can be sure that I’ll bottle up all of those precious memories for you as I photograph your day. 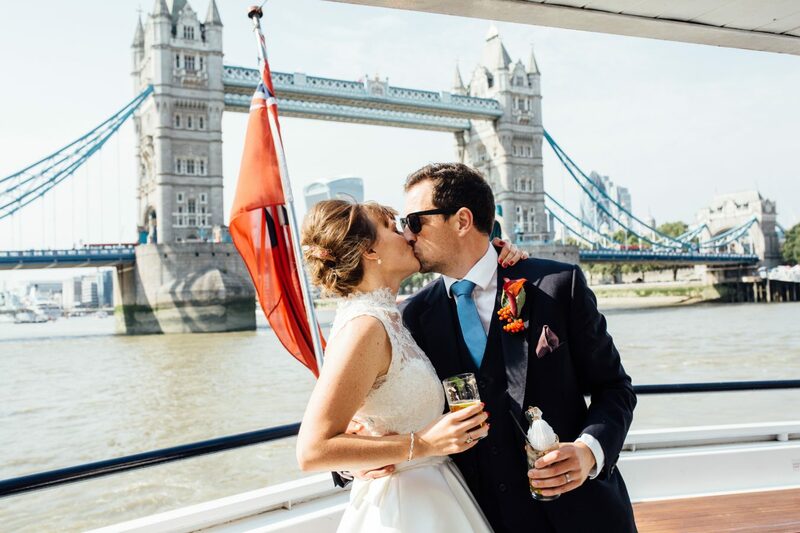 So, if you would like a London Boat wedding photographer with knowledge of the surrounding areas, landmarks, London and its beautiful backdrops, then don’t hesitate to send me an email! I look forward to seeing you at your London Boat wedding! 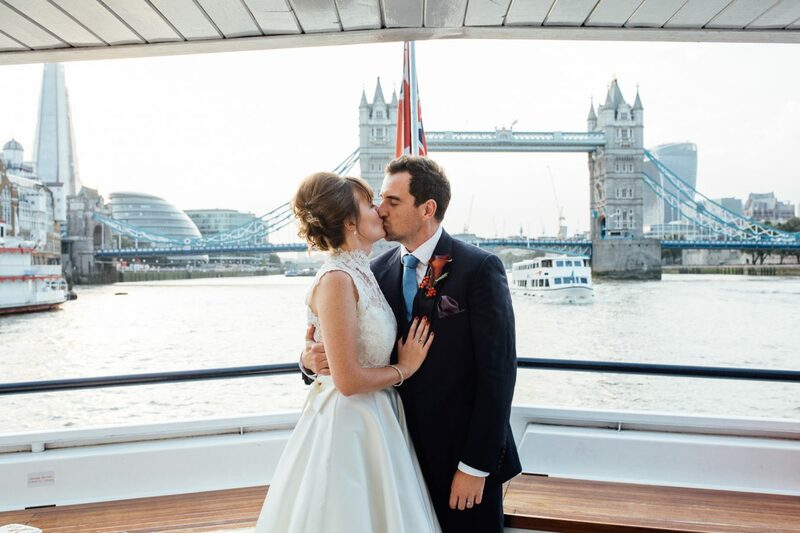 Chloe & Doughs London Boat Wedding Wedding Planning Guide Start booking your wedding photography NOW!